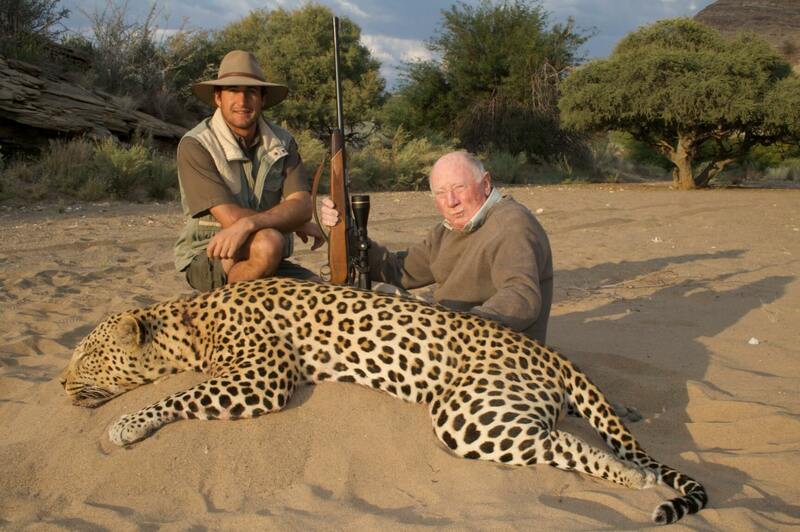 Leopard hunting in legal and strictly controlled by the Namibian government, and there is nothing as thrilling as hunting this fully adapted Kalahari predator. 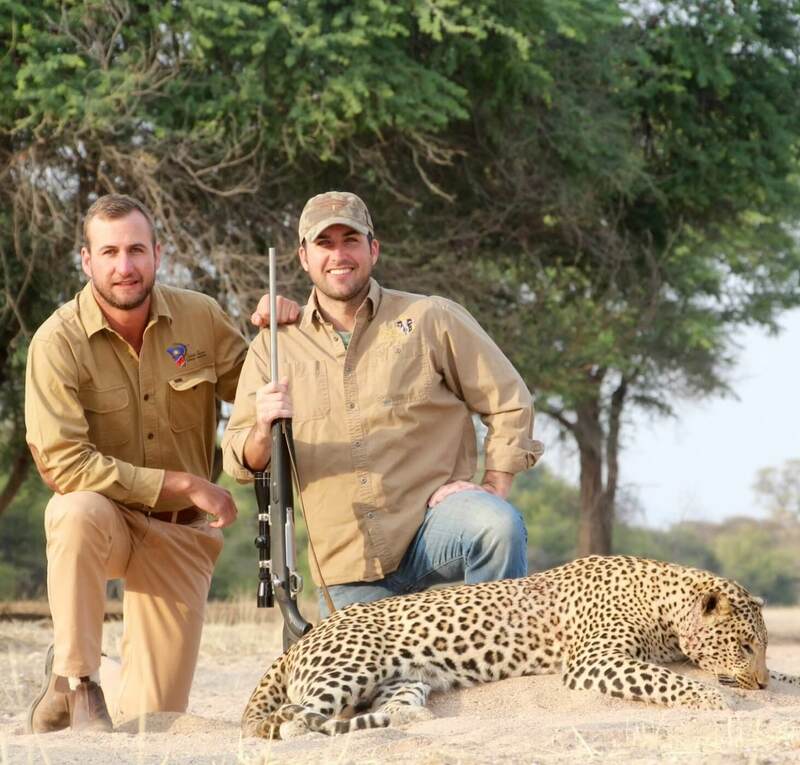 It’s the pinnacle hunting experience for a big hunter. 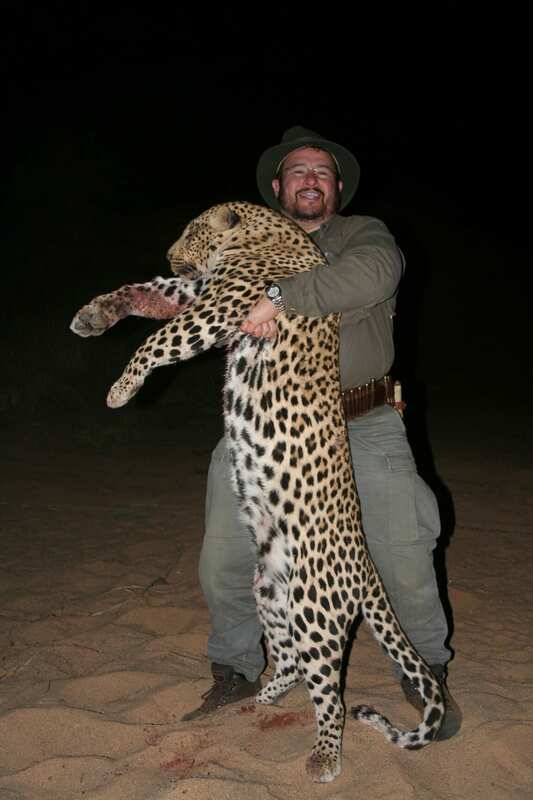 Contrary to popular belief, Leopard are NOT endangered in Namibia. 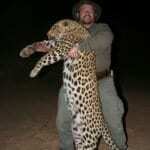 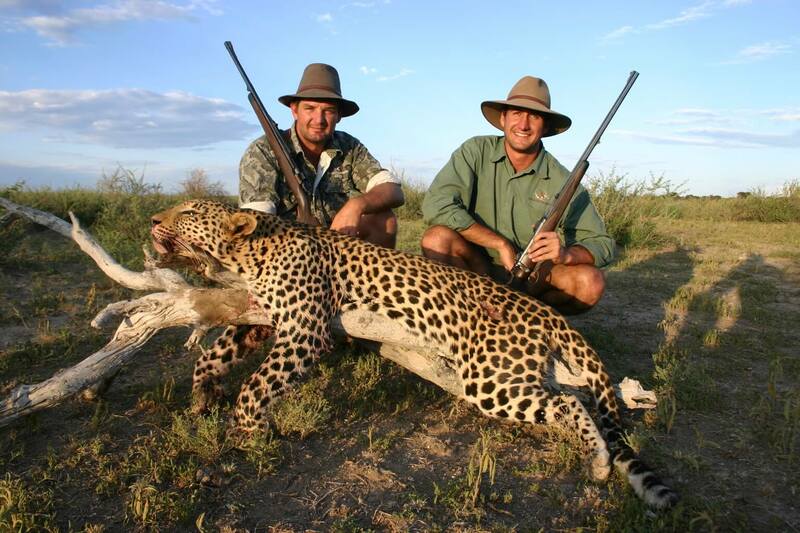 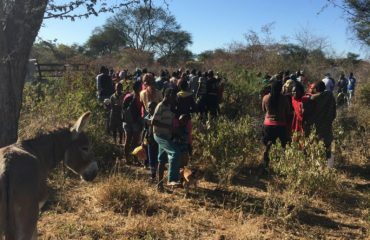 Leopard hunting is strictly controlled by the Namibian government, and is both legal and sustainable. 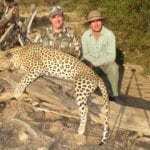 Every year the authorities issue a very limited amount of licenses, dependent on the size of the hunting area, the estimated leopard population in the area, and the success rate of the hunts in the past years. 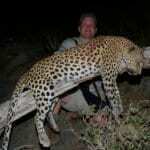 Each year a select few clients on this limited hunt find the challenge of landing true dangerous game: the leopard! 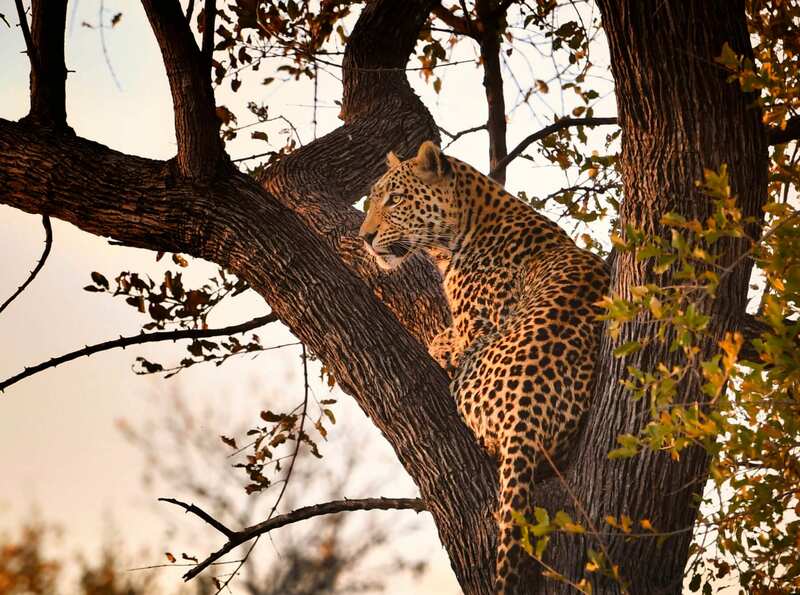 Leopards are incredibly shy but intelligent cats, with excellent senses. 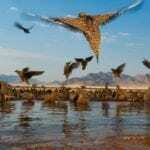 They usually appear at night, which is how they are able to avoid human contact. 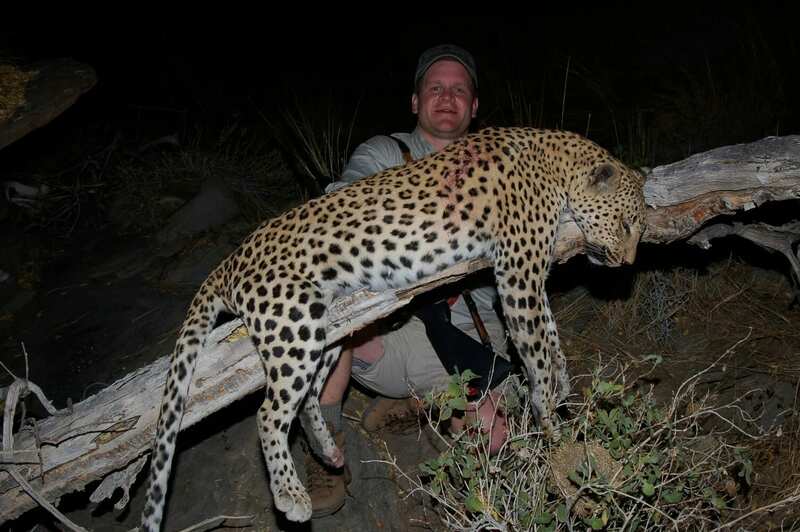 For the trophy hunter, the challenge cannot be greater. 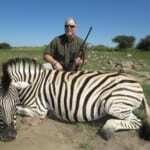 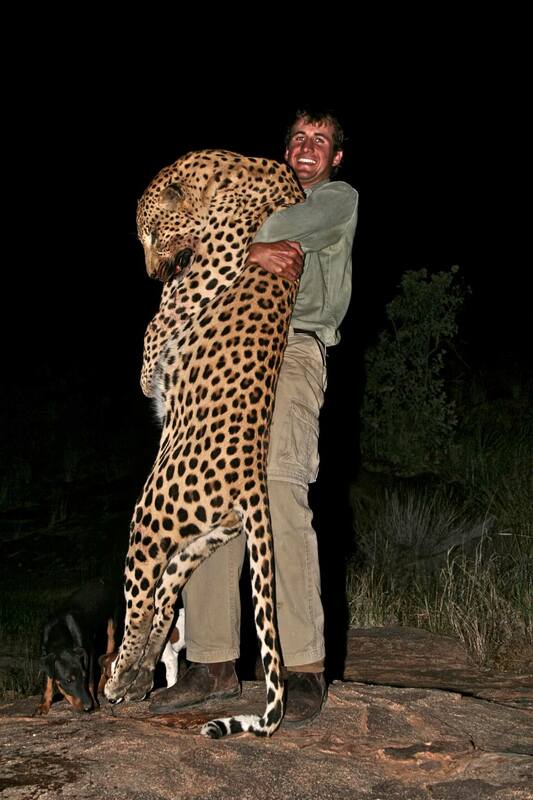 It is the thrill of this hunt that for centuries gets the pulse of the trophy hunter going. 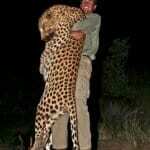 Hunting this dangerous game takes the right amount of planning and a combination of techniques to fool this animal. 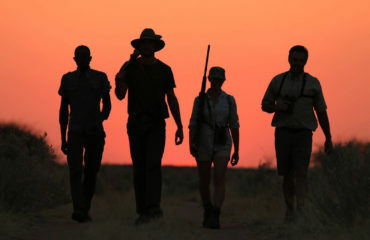 It requires physical strength, mental fortitude, patience and endurance. 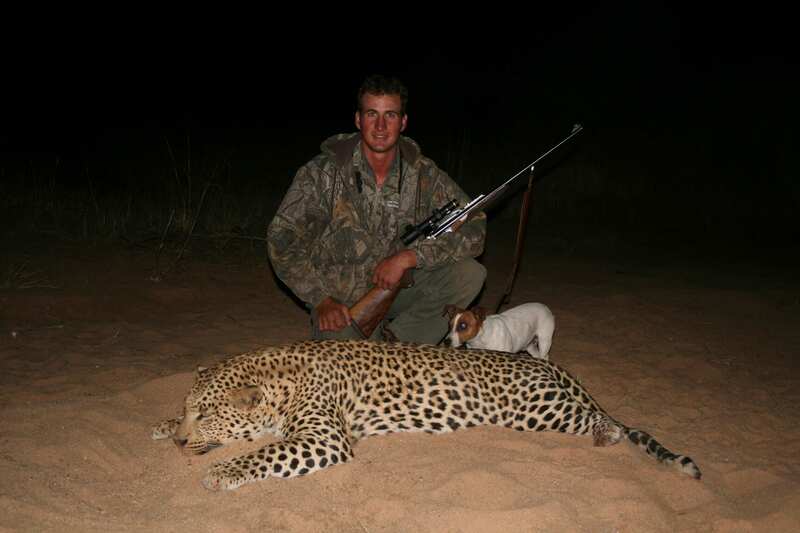 Tracking, baiting and hunting a leopard is one of the greatest challenges one can experience on an African hunting safari. 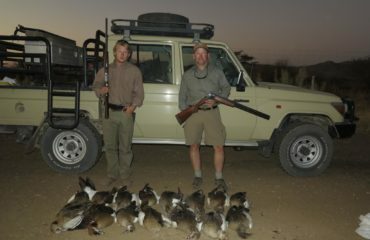 Every year the the Namibian government authorities issue a very limited number of licenses. 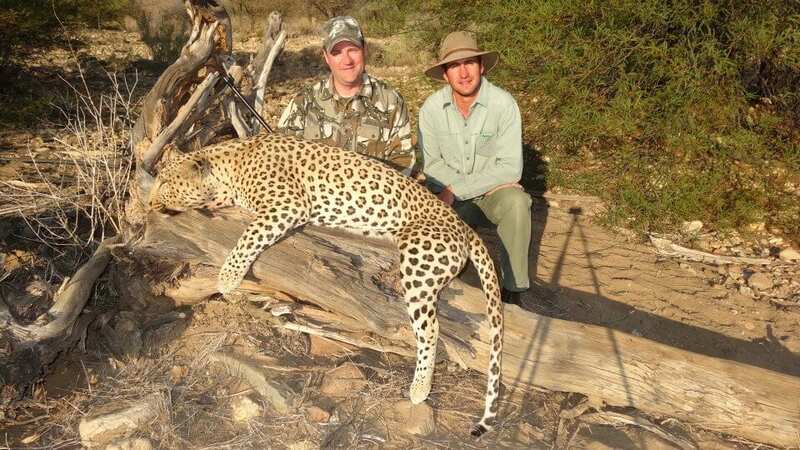 The number of licenses is dependent on the size of the hunting area, the estimated leopard population in the area, and the success rate of the hunts in the past years.